CloudMounter is a must-have tool for laptop users with low-capacity SSD-drives. You can easily mount most popular clouds as disks without having to download online files on the hard drive. As well as secure cloud files with data encryption. Choose one of your Dropbox, Google Drive and OneDrive accounts and manage them in Finder for free. 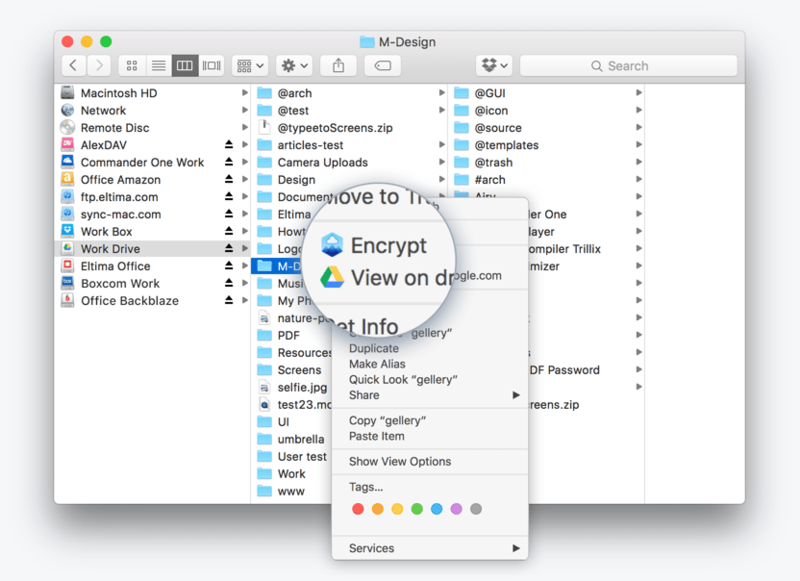 CloudMounter keeps your online files protected with advanced encryption standard. Thus reducing cloud risks to minimum. The integration with Finder is smooth and logical. Makes using the app even easier and comprehensive. 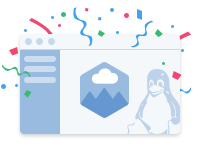 CloudMounter allows encrypting Google Drive, Dropbox, OneDrive, Amazon S3 data as well as the files on FTP/WebDAV servers and OpenStack Swift object storage. CloudMounter is your perfect hub between online storages and your computer. It makes working with remote hosts as easy as if the data was stored on your computer by letting you communicate with the clouds and remote servers from the comfort of Finder. CloudMounter visualises what's going on with your online files by adding info icons.